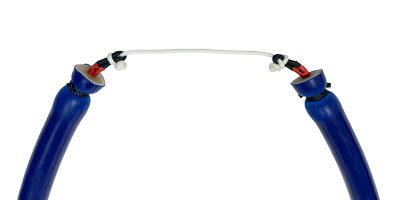 MAKO Spearguns Rapid Band Change Wishbones make changing 14.5mm small ID bands fast and easy. 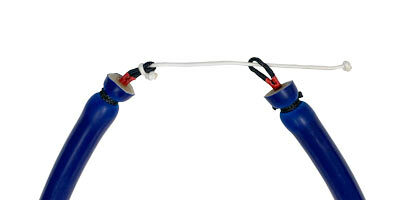 Our 14.5mm small ID power band latex tubing is fast becoming the most popular tubing in the world for spearfishing. NO SLITS IN YOUR MUZZLE? ...NO PROBLEM! Install, remove and re-install your bands as often as you like, quickly and easily. 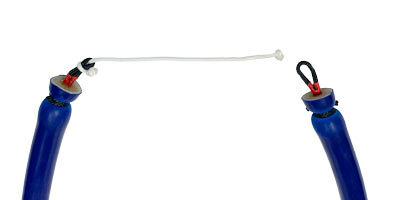 Specifically made for 14.5mm small ID tubing. NOTE: DO NOT USE ON REGULAR ID TUBING OR TUBING LARGER THAN 14.5MM as it may pull out. 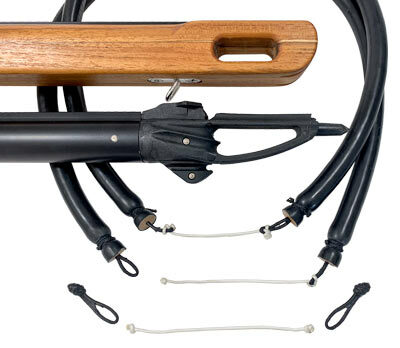 MAKO Speargun bands are the best in the world because they are made by Primeline Industries USA. If it isn't Primeline, it is not the best. No slits in your muzzle? NO PROBLEM! Insert the knotted end of the white dyneema cord through the loop. Wrap the white dyneema cord around the loop, creating a loop in the white dyneema cord. 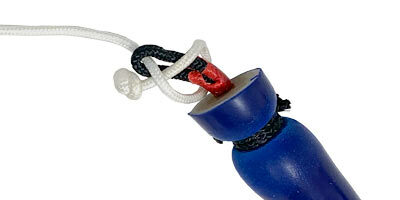 Insert the knotted ball end into the loop you just created with the white dyneema cord. Pull tight, tightly cinching the white dyneema cord onto the black corded loop knot. These went in eaaazzzyyy. 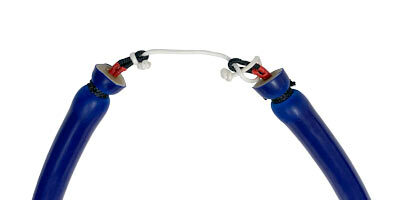 The knot is dipped in some coating that slides in super easy into small ID rubber.